September 4th marks the beginning of my 18 week training plan to ultimately run a full marathon. I never thought it was actually possible for me to run long distances. 3 years ago, I had ortho-scopic knee surgery on both knees to fix my torn meniscus. I used that excuse for the longest time! Probably a solid 2 years of me not being active. I was asked by a friend in May 2011 to sign up for a Disney Half Marathon. All I heard was Disney and before long I was signing my life over (paying the expensive registration fee), and beginning my training plan. I really did not take it too serious until about 2 months before the race, when I had a terrible nightmare that I would not be able to finish it alive. I also was competitive and eager to prove to myself that I could do it. 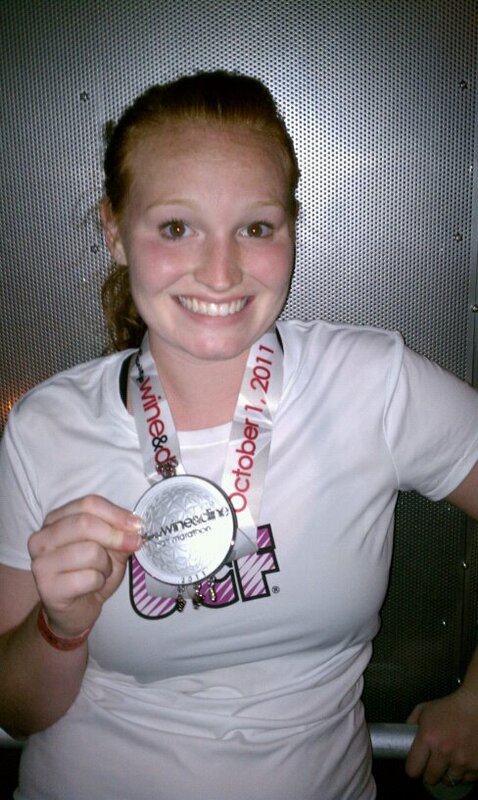 Fast forward to October 1, 2011: I became a Half Marathoner. I began to steadily gain back some of the weight I had lost, and my attitude and mood slowly changed to being lazy again. In June of 2012, my husband and I committed the fall semester (yes, we still categorize our life in semesters) to training for a full marathon! We will be training to complete the Disney Marathon in January 2013. We have 2 couples coming to visit us this Labor Day weekend, and I am sure that will involved some southern food, cold ice beer and some yummy treats. Maybe some seersucker. And then it will be Sept. 4th.